The electronic use of Estonian ID-card and Mobile-ID is interrupted. Update! The electronic use of Mobile-ID and ID-card is recovered! The electronic use of Estonian Mobile-ID was interrupted from 09:52 until 14:28 today. This may have cause problems with log-in to .ee's registrant and registrar portals and other e-services using Mobile-ID as well as digital signing and other certificate-related services. eID card usage is interrupted only in those e-services, which use DigiDocService for authentication/digital signing. Present interruption does not affect verification of digital signatures. SK ID Solutions will make an announcement when services are restored. 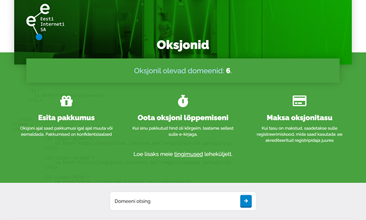 From 26 March 2019, all expiring .ee domains will go to the domain auction in the .ee auction portal. Between 1 October and 2 November, Gr. 4-9 pupils from schools all over Estonia were able to test themselves in the CyberNut survey on digital safety and cyber security, which was organised as part of the CyberOlympics project. There were 5,603 participants from the second school level (Gr. 4-6) and 3,955 students from the third school level (Gr. 7-9). The most active participants came from Tallinn and Harjumaa, Tartu and Tartumaa, Lääne-Virumaa and Saaremaa. 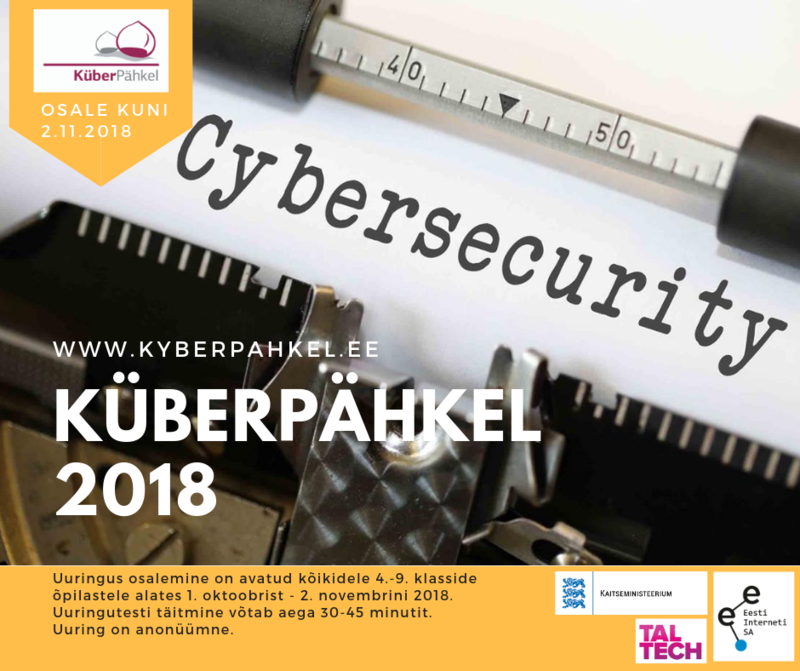 Under the auspices of the European Cyber Security Month, the CyberNut (KüberPähkel) survey is carried out in Estonia among Grade 4 to 9 pupils under the leadership of TalTech and the Estonian Internet Foundation, and with the support of the Ministry of Defence. As part of the survey, students can challenge themselves in basic knowledge about digital safety and crypto puzzles.